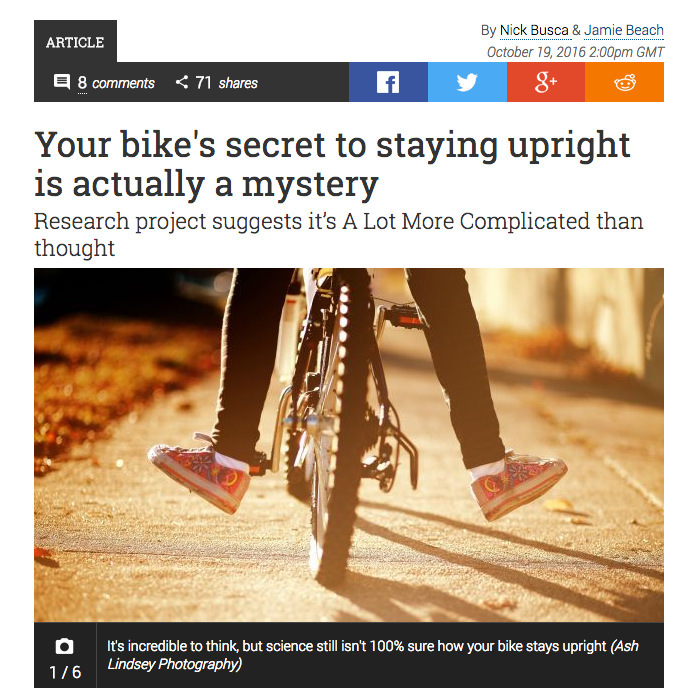 This is my first story wrote for Cycling Plus (UK). It’s called the Big Ride and it actually involved…cycling for a very long time. In total 110km with almost 4,000m vertical gain! Bormio, Italy, was simply stunning at this time of year. Click the image to read the Pdf on Issuu. One of my latest work for Red Bull: what did I learn and feel while cycling the hardest amateur cycling race on the planet, the Haute Route. In April I fulfilled an old dream of mine and traveled to Colombia. I was able to cycle with locals for a whole week and climbed the Alto de Letras, one of the longest roads you can tackle on a road bike (a staggering length of 81 km uphill). I was also able to stop by Nairo Quintana's parents house where I took this photo. Here's my story on Colombia's cycling obsession for CNN Sport. The new frontier of doping? It could even change an athlete's DNA. It's not a science-fiction plot, but a thing that could become reality very soon. Here's the feature I wrote for the CNN's Health and Sport sections. Another story I wrote on gene doping was for Cyclist magazine. In September 2018 I attended a seminar at the University of Stirling (Scotland) where a group of scientists presented a new method for detecting this new form of performance enhancement. In October 2017, after the Slovakian cyclist Peter Sagan won his third consecutive World Championship in Bergen (Norway) I was lucky enough to interview his coach, the Spaniard Patxi Vila. He gave me an incredible insight on Sagan's training routine throughout the year. Here my stories for Cycling Weekly. One is a small interview with Sagan himself. In September 2017 I traveled to the Lake Annecy (France) to recce the 2018's Etape du Tour race course, one of the most iconic sportive for amateur cyclists. Here's my story for Road Cycling UK. How does Tony Martin (4 x UCI World Champion, Time Trial) prepare for a Monument like the Paris-Roubaix? Well, sometimes he rides on a treadmill ... Here's my interview to his coach Sebastian Weber for cycilngtips.com. In December 2017 I have started to contribute for RedBull.com and wrote stories and round-ups on cycling and triathlon topics, combining both my experience as a triathlon coach and my journalistic skills. Here's a selection of my latest works done for them. 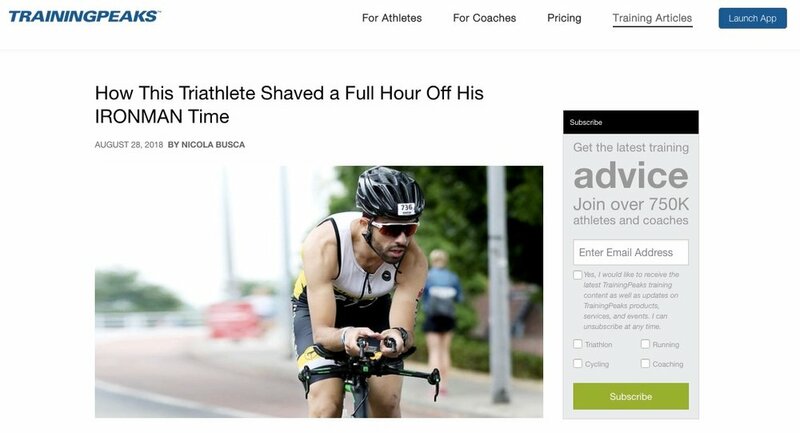 In 2018 I have started to contribute also to triathlete.com (world's largest triathlon publication) with features from the world of tri, with a series of profiles of professional and amateur athletes for their print magazine, with training advice and test and reviews. Here's a link to the online ones: an interview with a young pro who ran for 4 miles uphill with his bike on his shoulder after a mechanical, a look at how indoor cycling is changing the way we train and race and a bikebox group test. For Triathlete have also written profiles of professional athletes (including David McNamee and Lucy Gossage's) and age groupers. One of the story I liked the most was Adam Madge's. Adam is a full-time farmer and a part-time triathlete. Do you think training for triathlon and running a firm is tough? Read here what it actually takes to run a farm and still trying to put in all the trainings you need for long-distance triathlons. Are you a time-crunched athlete and trying to juggle a busy work schedule, family commitments and a social life? These simple rules to plan your own training session and a simple 30-minute core routine would help you . Since October 2017 I've also been contributing with Cyclist magazine and wrote stories about cycling in Bogotá (Colombia), how it takes to ride the Tour of Flanders, nutrition in the pro peloton as well as stories about World Records on two wheels. What does it to ride the Tour of Flanders? Since 2016 I've also been writing for the triathlon magazine 220 Triathlon and my most recent features included an interview (and a whole training week in Bermuda) with 2 x ITU and 4 x XTERRA World Champion Flora Duffy; a focus on how 2 x Ironman World Champion - Jan Frodeno - transitioned from Olympic to long distance and how a tapering period should be approached and which are considered to be the hardest mountain triathlons out there. I have also been testing gear and bikes for 220 and here you can find the latest tests and reviews I have written. British triathletes (pros and amateurs alike) are becoming stronger and stronger and are dominating the sport rankings. Here's a feature I wrote for Triathlon Magazine Canada on this topic. I interviewed pro athletes like 2 x Olympic Gold Alistair Brownlee and Kona 2017 runner-up Lucy Charles to ask them their point of view. In April 2017 I traveled to North Korea for the second time (I previously visited the country in 2014 to ski at the Masik Pass ski resort) and ran the full marathon in Pyongyang. This is y story for Quartz. 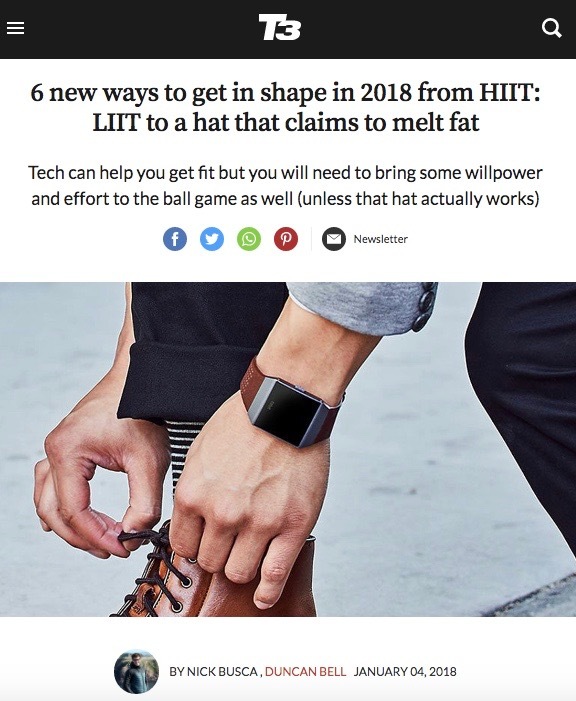 Crossing my knowledge as a triathlon coach, personal trainer and tech writer, I also wrote buyer's guides and round-ups for the tech magazine T3. Here's a selection of the latest works I have done for them. In June 2017 I started contributing -- both as a content writer and as a coach -- to Training Peaks' blog. TP is the training software I use to deliver training programs to my athletes and the one I have also used as an athlete myself. Here's a story I wrote about how important is to get a bike fit before hitting the road in the saddle and how one of my athletes was able to improve his Ironman best time of more than 1 hour year/year and on a much harder course. 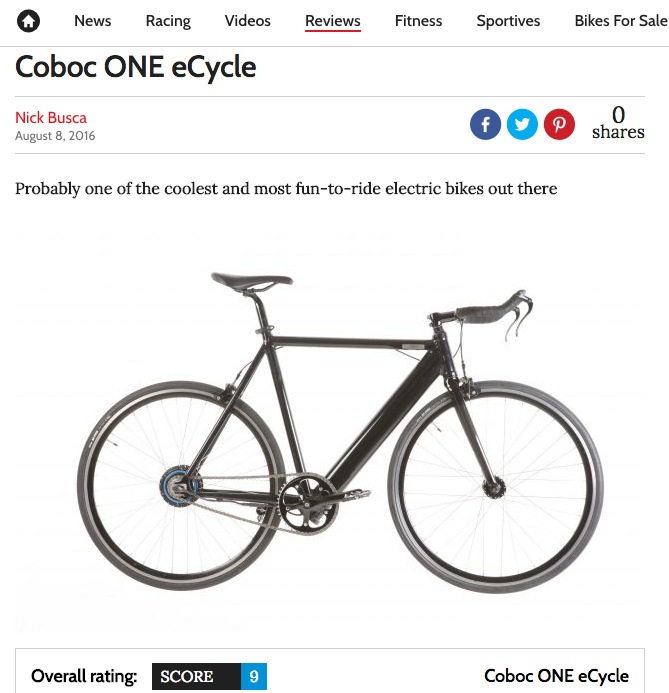 Previously a full-time staff tech journalist and tester for Cycling Weekly, I tested bikes and gear, wrote reviews for the online and print versions of the magazine, and wrote news and features about the industry and cycling in general. I broke the story about the presentation of the world's first bike frame made in graphene. I also covered product launches abroad: I was sent in Germany for the launch of the Canyon Endurace and attended the European launch of the Cervélo P5X in Spain. I continue to freelance for the publication. Here you can find a selection of some of the latest workI have done for them. Is the new Cervélo P5X the future of time trial bikes? What is the world’s ultimate cycling challenge? 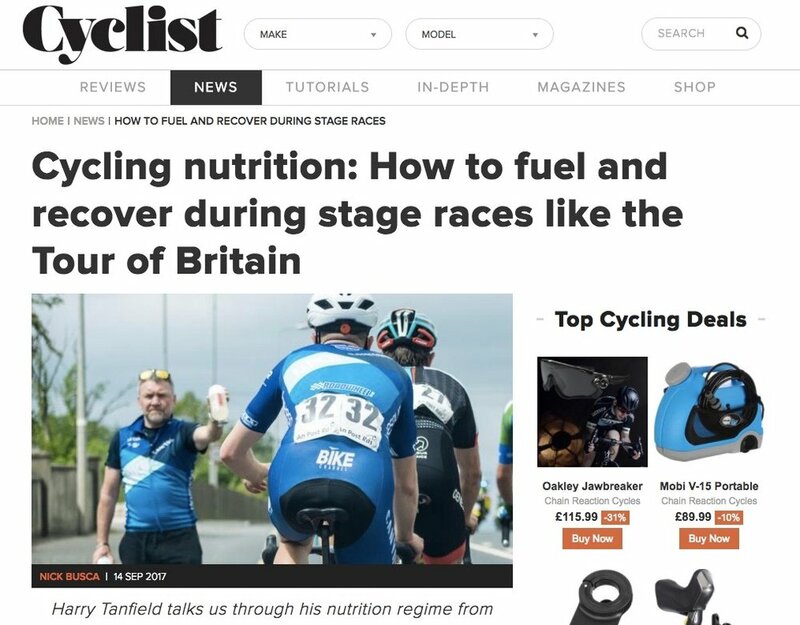 As a freelancer I also work with other UK and English-language sports publications, including Bike Radar (online), 220 Triathlon and Triathlon and Multi Sport Australia (print). Will eBikes shape the future of road cycling?